Kerikeri Airport Rental Car Pick Up. Looking for an affordable Rental Car at the Kerikeri Airport? 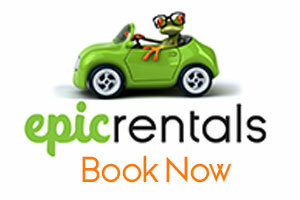 Epic Rentals should be your first call. Our cars are all late model, well maintained, and ready for you when you arrive. Best of all we have lots of free stuff that some of our competitors charge extra for, when you book your Kerikeri Airport Rental Car you get Free 24/7 Roadside Assistance, Free Standard Insurance, Free Multiple Driver Options, Free Pick up and Drop Off in the Kerikeri, Paihia, Opua, Waitangi, Bay of Islands area. What really sets us apart however is our friendly staff. We all love to not only have our vehicles presented in the best possible way, but to put your wants and needs first. Looking after our customers is always priority number 1. Why should I get a hire car from Kerikeri Airport? 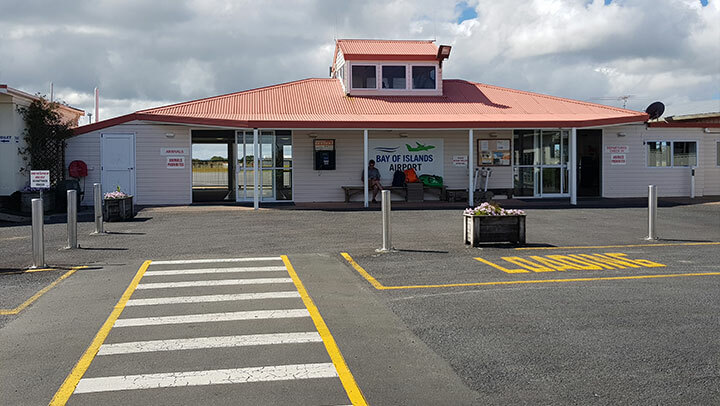 If you are arriving into Kerikeri or further into the Bay of Islands, via the Kerikeri Airport then your only real option for transportation is a Rental Car. There is very little, to no public transport in the Northland area. What looks close on a map can in fact be a lot further than you would imagine. You don’t want to arrive in the beautiful Bay of Islands, and not be able to get out and enjoy the beautiful sights we have to offer. Epic Rentals has solved your problems by providing clean, tidy, modern, affordable cars for hire, that will be sitting there ready for you when you arrive at the Kerikeri Airport. The Kerikeri Airport is the main airport in the far north of New Zealand, and visitor numbers are increasing year on year. In 2015 Air Nelson (an Air New Zealand link subsidiary), took over operations and started flying the larger 50 seat Bombardier Dash 8 Q300. Depending on the time of year, 4-5 flights per day arrive at the Kerikeri Airport. Since then numbers have increased greatly into the Kerikeri Airport. Although the Bombardier is the main aircraft into the Kerikeri Airport, there are also many other users. Salt Air fly from the Kerikeri Airport to the North Cape daily, and Skydive Bay of Islands use the Kerikeri Airport as a base for their aircraft also. Its not all commercial however as many private aircraft also use the Kerikeri Airport. How do I book my Epic Rental Car at the Kerikeri Airport? In the top left corner, you will find a box that says “book your epic car rental” just enter your pick up date, time, and set the pickup location as Kerikeri Airport. Then its time to enter your drop off details, it’s just the same but for the end of your trip, choose when you want to drop the rental car off, time you want to drop it off, and location, if you are flying out of the Kerikeri Airport just use the Kerikeri Airport as the location. Then click the green “continue” button. You will then be directed to another page that lets you choose from a range of available cars, people movers, and vans to choose from. Just select the vehicle that best suits your needs and budget. You may not be familiar with some of our vehicles (especially if you are from overseas) so we have added a handy guide with our recommendation on how many people and bags can fit comfortably into the vehicle. Just look at the icons at the bottom of the pictures displaying the vehicles. You will then be directed to a page that lets you decide, what accessories you require for your journey GPS, children’s Carseats etc, you will also be given three options for insurance. We recommend the “No Worries Mate” option as this takes a lot of stress off the hire, and you can enjoy the beautiful Bay of Islands without having to worry about scratching the car. From here you will be directed to a page that lets you enter your Credit Card details, don’t worry your details are completely secure as our encryption software is fully PCI compliant. We only take 20% as a deposit to secure your booking, the rest is payable when you uplift the vehicle. Once your Credit Card details have been entered, you will be taken to a summary page, from here you can double check all the details are correct, you will also receive an email from us detailing the rentals details.